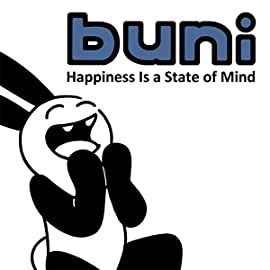 Always positive, Buni doesn't understand that the cute world he lives in is usually out to get him. The girl he loves loves someone else. And his best intentions never seem to work. Yet he wakes up each day hopeful. Together with his cynical dad and determined dog, he inhabits a surreal world populated by teddy bears, cupcakes, unicorns, and zombies.With few words, these comics rely on images to tell the story, which is often twisted, sad and funny all at the same time. 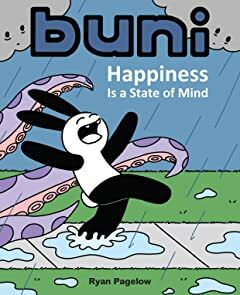 But more than anything, they show that nothing will keep Buni down. Because true happiness is a state of mind.